Going with stainless steel lavatories and bathroom features like urinals and toilets is a great way to go! While many people choose this material for the sleek design, others like stainless steel because it outlasts other materials and is easy to maintain. At Stainless AD, we offer a variety of options and designs. 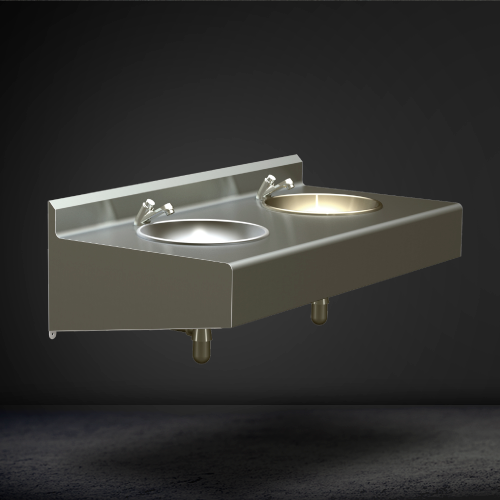 Stainless steel lavatory options are much easier to clean than other material given their surface. The ease of clean makes this is an excellent choice for places with stringent hygiene regulations. You’ll minimize bacteria with stainless steel because the bacteria doesn’t adhere well to the surface. This material is also great for reducing mildew and mold. Turning to a stainless steel lavatory, toilet, and urinal for your restroom is great for industrial and commercial locations. With so many benefits it’s easy to see why stainless steel is great for more than just kitchen appliances. Many business owners are taking advantage of all the benefits by using it in their commercial spaces. Maintaining the brand new shine of stainless steel can be as easy as conducting a few daily maintenance procedures on the surface. People may complain that their stainless steel lavatory doesn’t shine like it used to. However, that just indicates a lack of regular care. Rinsing the surface with hot water after each use or even on a daily basis can create a dramatic difference. The fizzing power of baking soda and vinegar can be used to combat water stains that have surfaced from a lack of daily cleaning. Powdered cream of tartar and hydrogen peroxide will help eliminate rust stains as well. The great thing about stainless steel is that rust and water stains can be easily removed. Outfitting public restrooms with a stainless steel lavatory, toilets, and urinals is also a great way to add a touch of style. With easy to maintain surfaces and a nice shiny luster, bathrooms will look pristine. Many people choose this option because it offers easy to maintain surfaces and a great sleek look within the public restroom setting. These lavatories also come in a variety of models and sizes sure to fit your location’s needs. 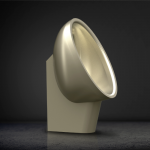 It is also a greener environmentally friendly option to install stainless steel waterless urinals. 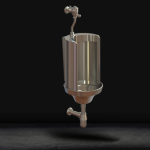 You can learn more about our waterless urinals here. 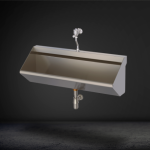 If you would like to receive a quote for your stainless steel lavatory needs, be sure to contact Stainless AD today. We offer a variety of bathroom products for your commercial or industrial location. When you choose stainless steel you are choosing a timeless, durable, easy to maintain the product. Give us a call or contact us today for more info.